The Phoenix Restaurant is conveniently located inside the Emerson Resort and Spa. This restaurant used to serve dinner, however, they are currently only serving from their breakfast menu. Breakfast is served daily from 7:00am-Noon. Mike and I enjoyed a delicious breakfast each morning of our vacation, taking advantage of the short walk from our cabin rental. No need to drive or search the GPS for area restaurants: now that's what I call a vacation! Mike and I were impressed with both the prices and quality of food. The French Toast topped with fresh berries was absolutely delicious. The 2 egg breakfast, which included toast and potatoes, was also excellent. I was also impressed with the enormous serving size: this is not your ordinary 2 egg breakfast seen at most diners! The presentation was elegant. The menu is small, however, you will still find all your traditional favorites such as omelets, pancakes, etc. 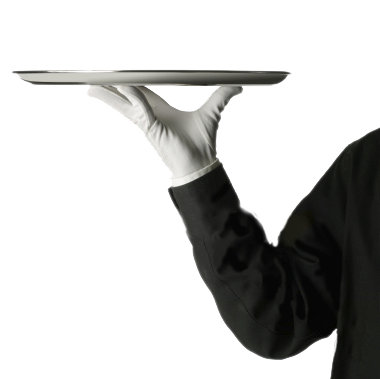 Our servers each morning were friendly and professional, without being bothersome. We had the same host on each of our 3 dining occasions, and by our last visit she remembered our drink orders. Now that's personable service! The dining room featured appealing decor with an overall elegant & relaxed vibe. Views of the surrounding trees made breakfast a more relaxing experience than your typical noisy, cramped setting. We took advantage of the solitude each morning as we were usually the only patrons in the room. The Phoenix is a great option for Emerson guests looking to take advantage of convenient on site dining. Breakfast is affordable and delicious: there is no need to seek out breakfast anywhere else!